Eat more Tacos! I mean it! This place will actually make it hard for you not to eat them. Fancy Burritos or Quesadillas? They do have this, too. With extra sauces, a lot of Chili and some Avocado. Go there, try it. These are exactly the places I love. 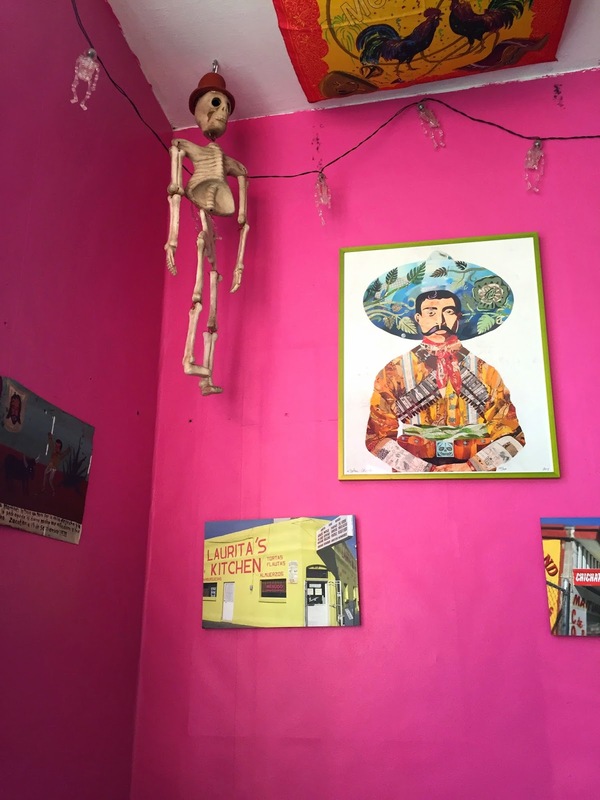 Those that don't look super fancy from the outside, but are hidden treasures, which you would not know if you hadn't stumbled across them, or if somebody hadn't recommended them to you. 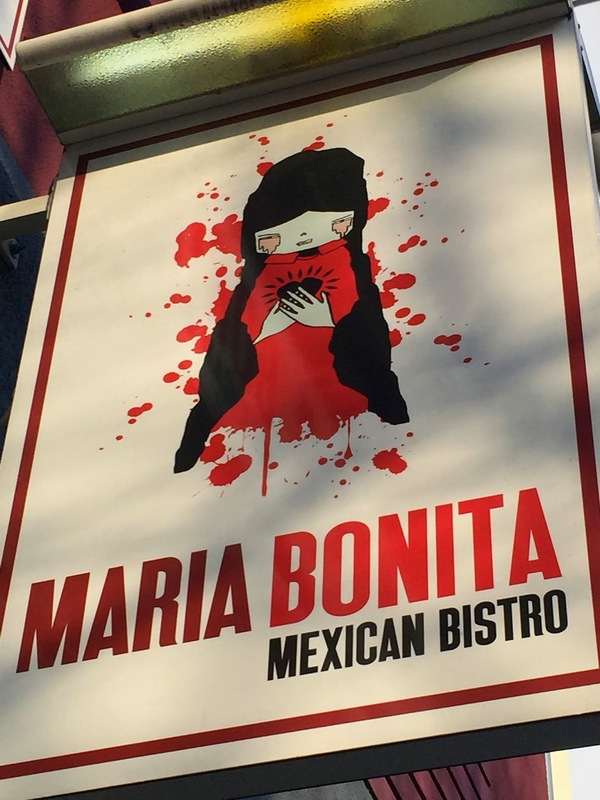 Maria Bonita is exactly such a restaurant; pretty small, not immediately remarkable from the outside, but the food…people…the food is delicious! What to eat? 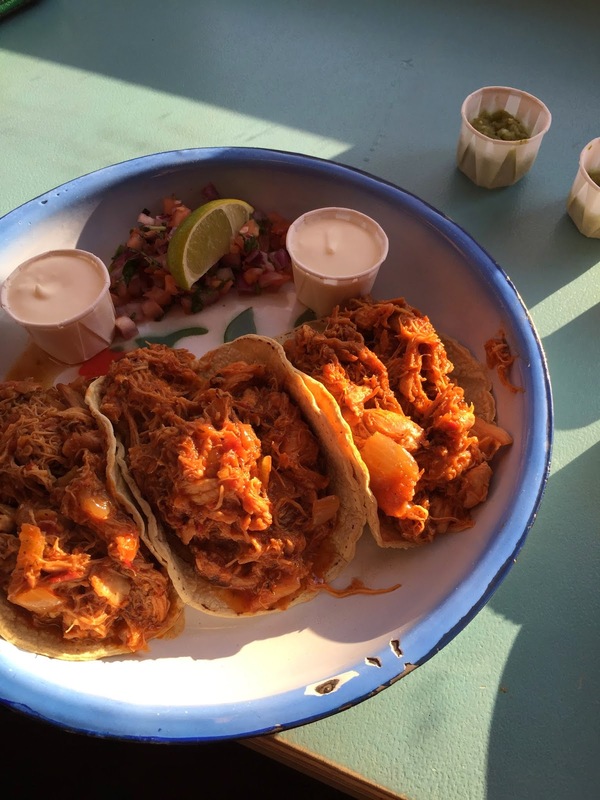 - I tried two kinds of Tacos, but I am pretty sure there is more for me to come. I went for the Tinga de Pollo and the Carne Asada. The first one is a pretty big portion of well-spiced, but not spicy, delicious chicken with a tomato-chipotle sauce and some caramelized onions, the second one is "just" beef with a hot avocado sauce. I recommend both. And if you are the spicy type of person - no worries, there is as much hot sauce as you want. Price? - 6-8€ for three Tacos, depending whether you want sour cream or cheese with it. Burritos and other stuff is around the same price. This is totally fair; great quality, great taste. When to go? - I would go there for lunch or a quick snack, as they don't have a lot of space inside. 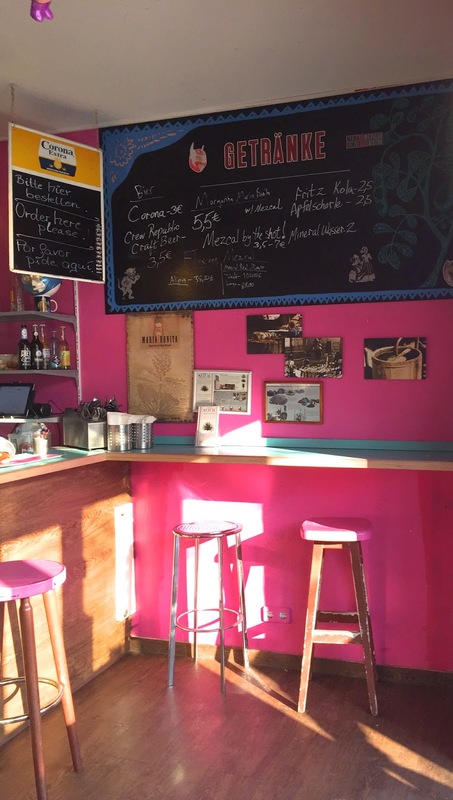 You sit on bar stools, which are limited though, in a fancy pink-turquoise colored interior. During summer they also have seating outside. Their website also says they serve breakfast - in the mood for some huevos rancheros? Where? Prenzlauer Berg at Danziger Strasse 33, 10435 Berlin, Germany.